Boston police sing "Take Me Out to the Ball Game" with Wally, the Red Sox mascot. Boston police shared a fun video Monday ahead of the Red Sox' opening day at Fenway Park. 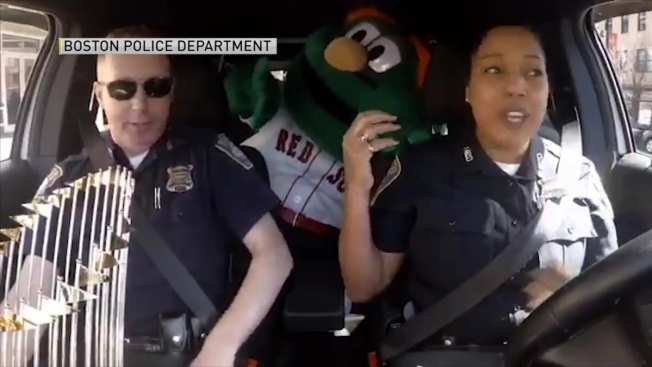 The Facebook video features two officers in their cruiser getting ready for opening day with Cracker Jacks and peanuts when they stumble across Wally, the Red Sox mascot named for the infamous Green Monster. The officers happily give Wally, who is carrying the Red Sox 2018 World Series Championship trophy, a ride to Fenway Park while singing a rendition of the classic "Take Me Out to the Ball Game" complete with harmony. Boston police wrote on Facebook that officers will be working hard to make sure the Fenway Park area is safe for Opening Day on Tuesday. 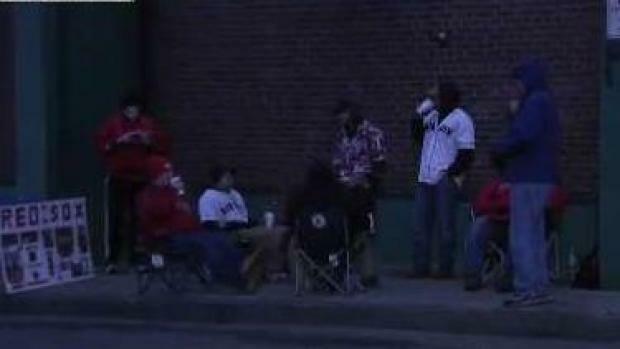 Excitement is buzzing outside of Fenway Park early Tuesday morning in anticipation of the Red Sox's Opening Day. "To the Fenway Faithful: Enjoy the game, celebrate responsibly, and get home safely! Go Sox!" wrote the Boston Police Department.